Salaroo is specifically tailored for each country's legislative system, it is currently available in the following countries. Salaroo is simple. It is simple to setup, it is simple to access and it is simple to work with. Let’s start with setting up. There is no installation, you don’t need to download nor install anything, you don’t even need a PC! Salaroo is software as a service (SAAS) which means that it is accessed via a web browser, just like internet banking. All you need is a username and a password, that’s it. It doesn’t matter if you are at your office or at your home. 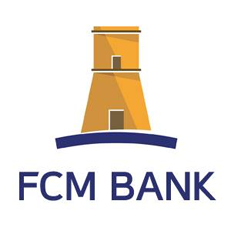 It doesn’t even matter if you are in the country or abroad, It is available 24 hours a day, 7 days a week, 365 days a year and is accessible from anywhere and everywhere ( be it an Apple, Android or Windows enabled device). 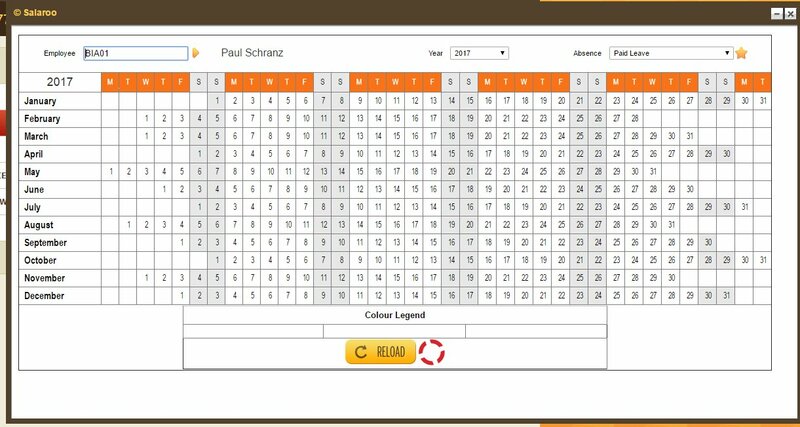 After log in you will notice that the most used functionality keys are available with the single click of a button. Easy isn’t it? 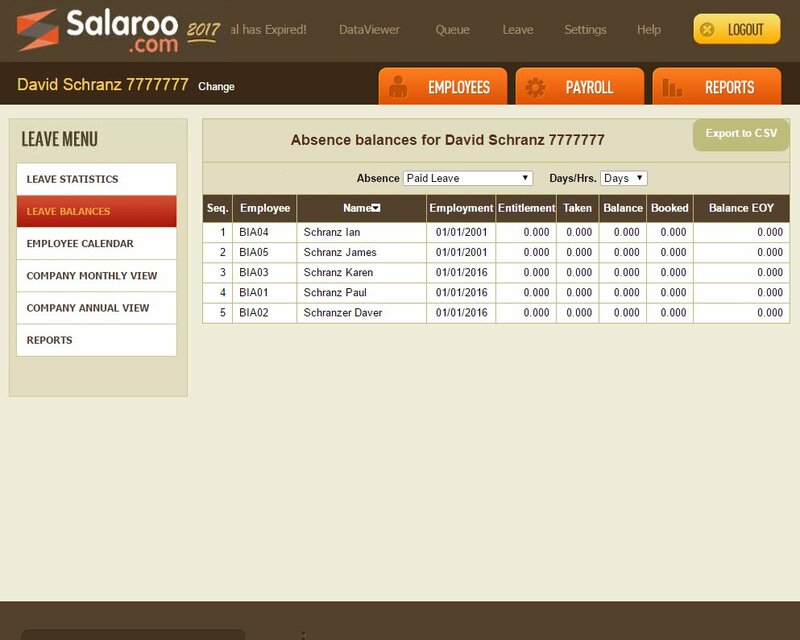 Salaroo has all the functionality that you need to manage all your payroll related tasks online. 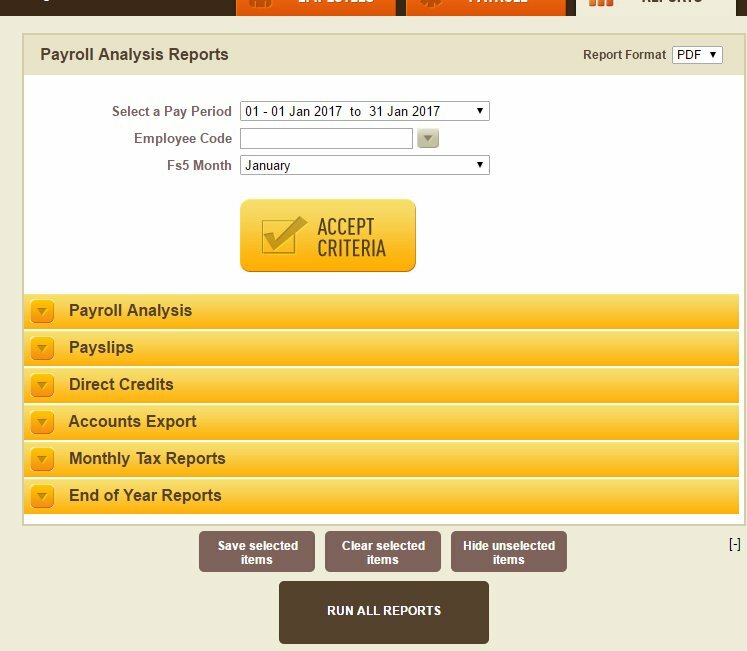 Issue payslips & direct credits, perform payroll analysis, run reports in real time without using up your computer resources. You can manage multiple company payrolls with a single user or, should you wish, delegate responsibilities to others users. You choose what works for you, the system is that ﬂexible. Updates like Maternity leave trust fund come automatically upon all new governmental legislation so you do not have to worry about a thing. 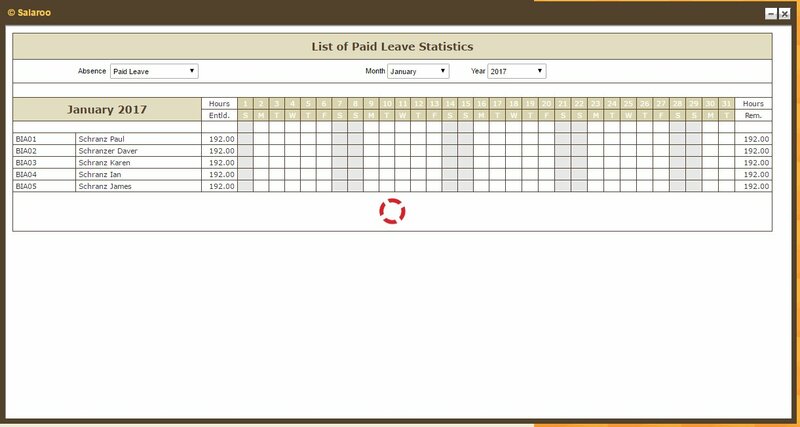 Allow your employees to login to the system for quick leave booking that will be reflected in your online payroll. Just approve leave and the system will update the records and place consumed leave on the payslip. Move your employee related documents, files and photos to Salaroo. It will be organized, safe and always available wherever you are. Preview and send FS3s via email directly from Salaroo itself. Handy isn’t it? Use Salaroo’s Database to its full potential. Create, modify and export reports from wherever and whenever you need them. Take leave management to a whole new level. 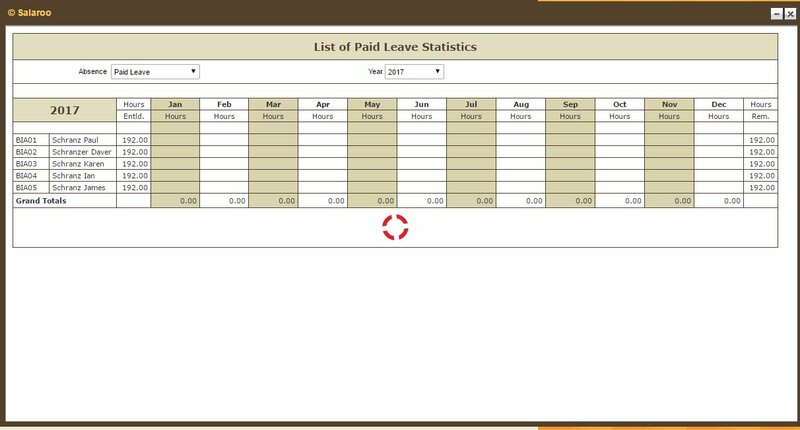 Preview, manage and book employee’s leave online. New company calendars and reports make managing just that much easier. 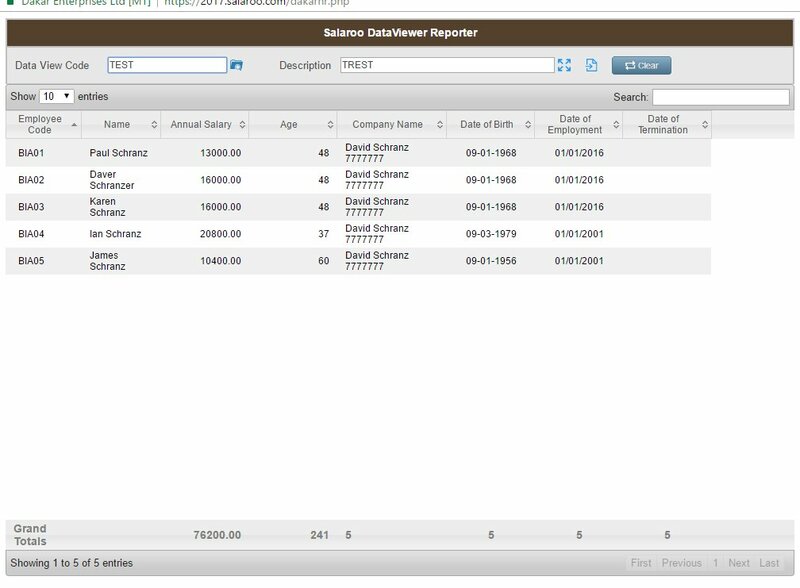 Easy import of employee data via CSV file. Download the import template from Salaroo, fill it in with your data and import it into the system. Simple and efficient, isn’t it? 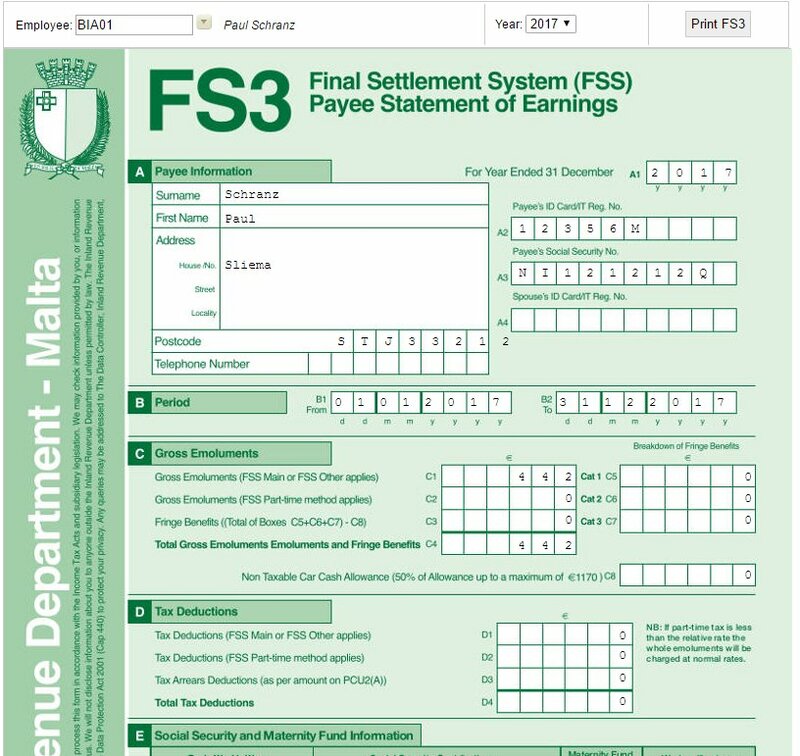 If you prefer to import payroll adjustments from a CSV file. We have the import template available for you. Save time by simultaneously triggering several reports. 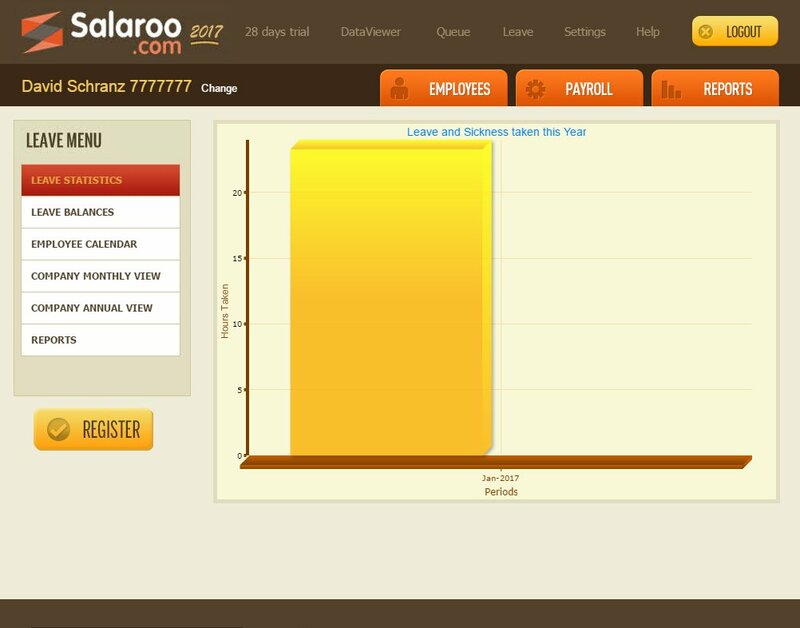 Feel even safer with Salaroos new secure (https) protocols. That is all! No additional costs. 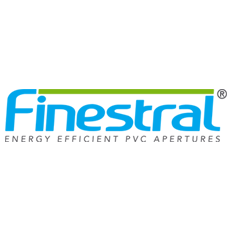 Interested in using our product? 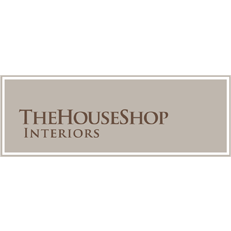 Give us your contact details and we'll be in touch shortly. 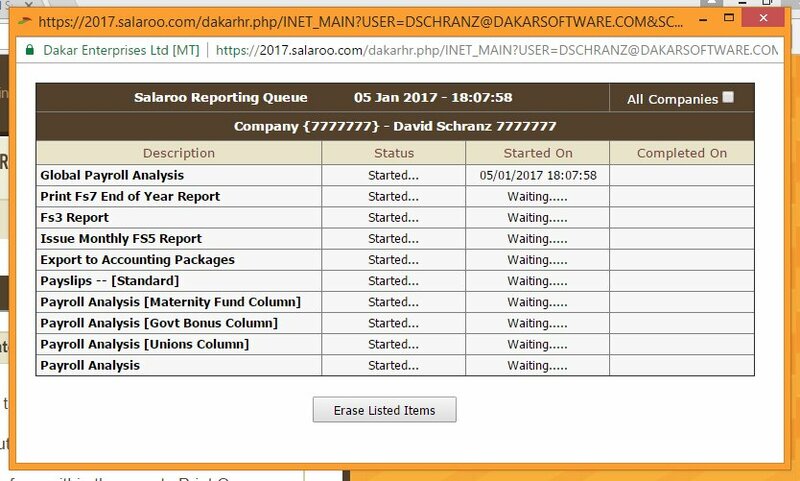 Salaroo is a product of Dakar Software Systems © 2001 - 2019. All rights reserved.